Over the last few years, Instagram has become a powerful marketing tool for ecommerce. 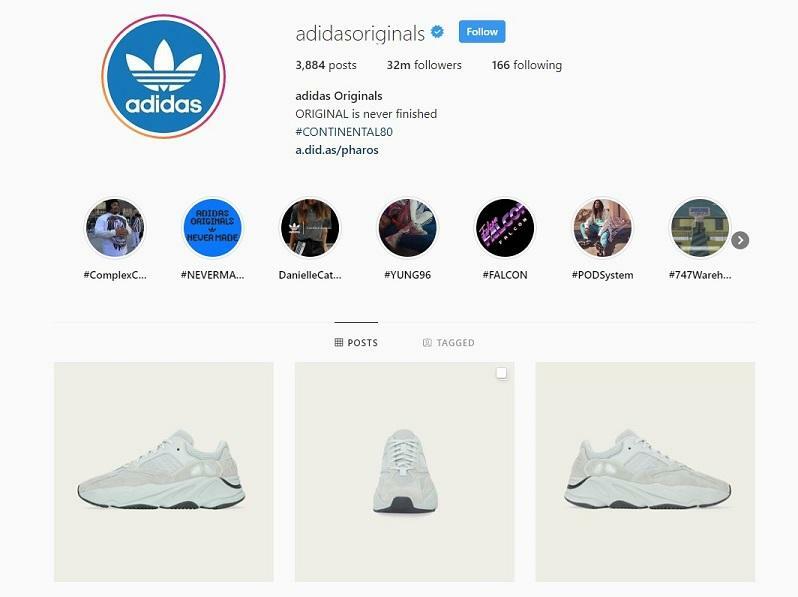 The numbers speak for themselves: The platform has over one billion monthly active users, 80% follow at least one business account, and 60% of people discover products on Instagram. With the growing demand for ecommerce on Instagram, the platform has made in-app shopping easier by introducing business-specific features like Instagram Checkout, the Shop button on a business profile, product tags and stickers, and a conversion objective for Instagram ad campaigns. For a variety of reasons, more and more brands use Instagram as a sales machine. Case in point: Sportswear brand Gymshark uses Instagram for ecommerce, and it often gives strong results. After launching a new Flex fitness line, the company ran Instagram Stories ads with a clickable link to drive website visits and ecommerce sales. 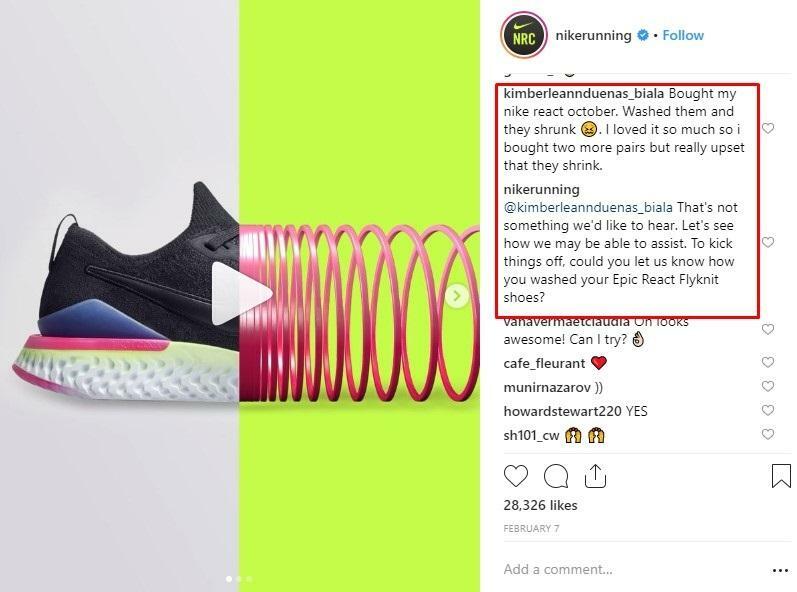 Within a week of running ads on Instagram, the brand made over 2,400 sales, achieving a 9x return on ad spend. Not the worst way to invest money, huh? But before you jump in, you need to know what these successful brands are doing to drive those sales. 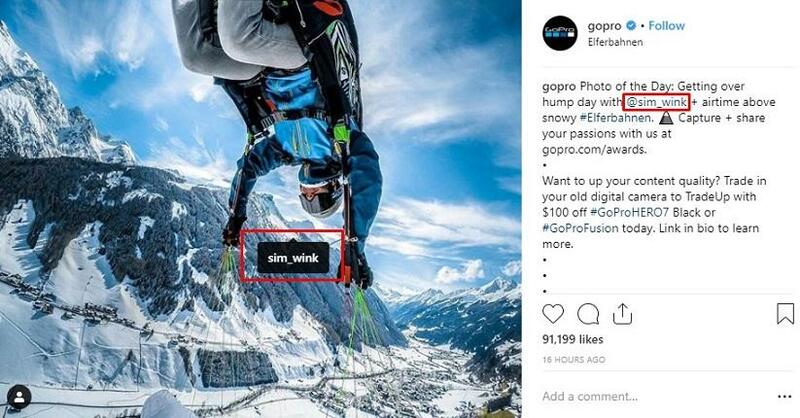 Here are four major lessons from 12 top brands that can help anyone interested in learning how to use Instagram for ecommerce. As a brand owner or marketer, you know what makes your product any different from others on the market, and you’re ready to list its features and benefits, run paid ads, and show it off from different angles. While that all makes sense, it’s not enough to turn your followers into customers. In fact, people want to read about other customer experiences before making a purchase: 95% of online shoppers read online reviews, 97% agree that reviews influence buying decisions, and 82% of consumers consider user-generated reviews to be valuable. All in all, the more happy customers your company has, the more new clients you can acquire. So you need to utilize social proof in your marketing efforts. Here’s how to add social proof on Instagram. Modern customers crave for authenticity. The majority of influencer marketing campaigns look very organic, so people trust them as much as their friends. Thus, influencers help to build meaningful relationships with consumers: 82% of marketers believe that influencer marketing campaigns bring buyers; 60% of consumers have been influenced by a social media post or a blog review; the worldwide Instagram influencer market value is estimated to be 2.38 billion US dollars in 2019. Since customers trust opinion leaders more than branded content, it’s important for ecommerce companies to work with them. 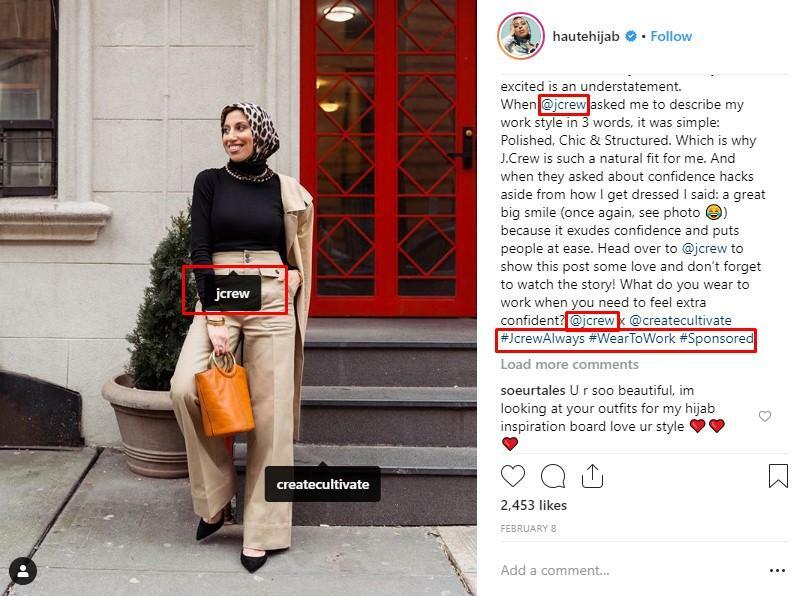 For example, J.Crew collaborated with Melanie Elturk, popular fashion blogger and CEO of Haute Hijab. In partnership with the brand, Melanie created a post with a brand tag, featuring J.Crew’s stuff. With over 235k engaged followers, the company was able to enter an already-established community of loyal fashion lovers who fit their target market. Meanwhile, J.Crew has posted the same image on their business profile, showing fans and visitors that fashion bloggers choose the brand. As a result, it helps to build brand credibility. Another buzzworthy trend in ecommerce is user-generated content (UGC): 85% of people find UGC to be more influential than branded content, and 64% of potential buyers actively seek out UGC before making a purchasing decision. 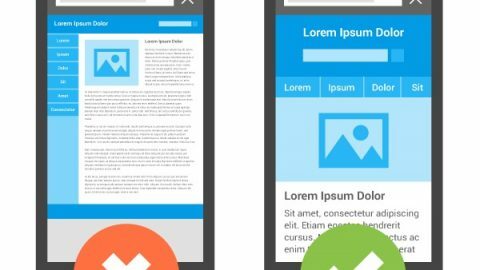 When a company shares pictures created by users, it’s a sign for potential clients that the product meets customers’ needs. Even better, the post feels more sincere, as it’s focused on a client, not a brand. Simply put, encouraging followers to create photos isn’t an option for companies that want to provide social proof; it’s a must-do. In fact, UGC is not just about featuring an item (which can be great for fashion brands); it’s also about showing how your product works. Let’s take a look at GoPro, for example. The company motivates customers to share the videos and images they capture to show the best one-off on their Instagram account. For users, it’s a perfect way to spread a word about themselves across 15 million followers. For the brand, it’s an opportunity to provide other people with social proof. Customers have unlimited product purchase choices, and it can be difficult for them to make the right choice until they read consumer guides—reviews. With the rise of social media, users have an opportunity to share their opinions and beliefs individually within a community without being interrupted. What is more, humans are social creatures, so they want to let others know about their experiences in order to help other customers make the right purchase decision. At the same time, the majority of buyers look for online reviews to learn from customers’ experiences. All in all, online reviews are about social proof, so trying to sell goods on Instagram, it’s important to share customer feedback. Here’s how it works for Frank Body, a company that offers different coffee-based skin care products. With a variety of alternatives on the market, it’s essential for Frank Body to make visitors understand what makes this company any different from other competitors. To do that, the company created Stories Highlights to group reviews and feedback from magazines and customers’ social media accounts. When you provide customers with reviews, you prove that your company is trustworthy. No matter who your potential customer is, whether your Instagram follower or visitor, the person has quick access to reviews and feedback, and therefore he or she can decide whether your product meets the needs faster. So, isn’t it great for both—the company and the customer? Key takeaway: Social proof is a way to ensure your customers that the company (and product) is trustworthy and popular among other users. With over 25 million businesses on Instagram, having a good product isn’t enough to attract customers. To cut through the noise, it’s important to know what users’ interests and intentions are. The solution? Trends! Knowing (or even predicting) trends helps to look before the masses have trained their eyes. 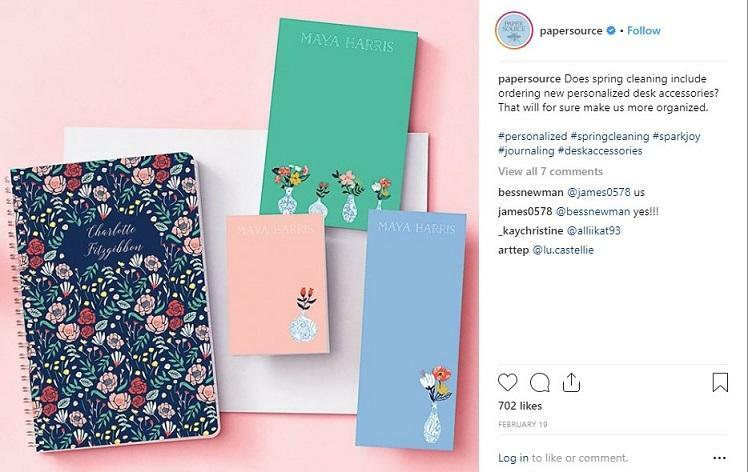 When you keep up with Instagram trends, you can use them to your advantage, and top ecommerce brands know it for sure. Instagram content is constantly evolving—from overly-polished branded images to UGC photos, brands have to know what type of content works better for their target audience. Back in 2016, posting images to your newsfeed was a great idea. For now, companies need to create the FOMO (fear of missing out) effect with ephemeral content that lasts for 24 hours. Any proof needed? According to the latest update, over 500 million accounts use Instagram Stories daily. This means a growing demand for short-lived content. With ephemeral content, not only will you stay up-to-date, but you will also beat the Instagram algorithm, delivering your brand message to the target audience. Plus, there are different business-specific features that allow brands to grow online. 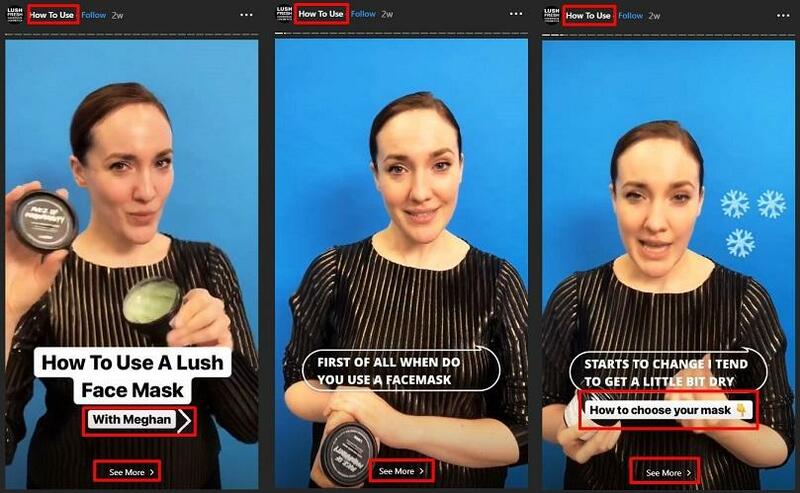 For example, LUSH avoids clogging up the main feed with content and the company posts Instagram Stories to provide followers with more information about their products. What is more, the brand explains how to use their stuff—worried customers can understand everything they need to know about products, and therefore purchase faster. 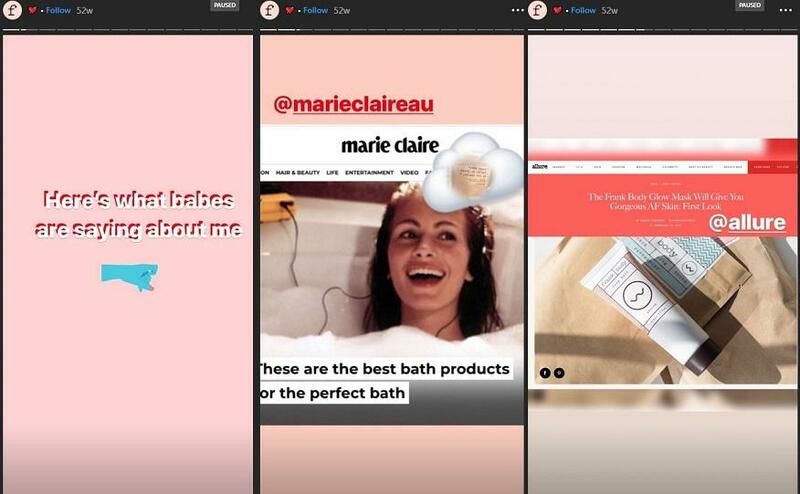 For a variety of reasons, ephemeral content is on its rise, and ecommerce brands can make the most out of this trend by using Instagram Stories in different ways: show off their products, teach customers how to use their stuff, announce the product launch, offer time-limited discounts, and much more. With the growth of social shopping, brands need to understand how consumer behavior has changed. For example, modern customers would like to watch vertical videos instead of horizontal ones, as they hold their phone upright 94% of the time. Take care of your customers, and they will choose your brand. 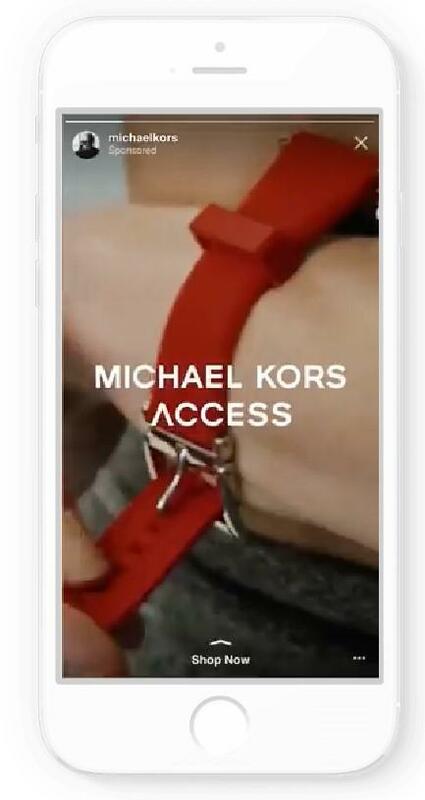 Here’s one example: In 2017, Michael Kors brand wanted to inform its millennial audience about its new Michael Kors Access smartwatches, so the company targeted young women with custom Instagram Stories that varied in length, resulting in a 24x lift in ad recall and 8.8x increase in favorability. Michael Kors marketers were able to predict the rise of vertical video content, so they engaged their target audience and outperformed competitors. For other brands, it’s a good example of how to run Instagram marketing campaigns and bring better business results. In 2018, Instagram rolled out various features to improve communication via direct messages. Now, it’s possible to send GIFs, voice messages, share Stories or posts, and even do a video chat—this means huge marketing potential for companies that want to sell on the platform. Once you get a question about your company or product, it’s easy to start a conversation via direct messages and make your potential customer feel special. What’s more, there’s already a standalone Instagram Messenger app for iOS. 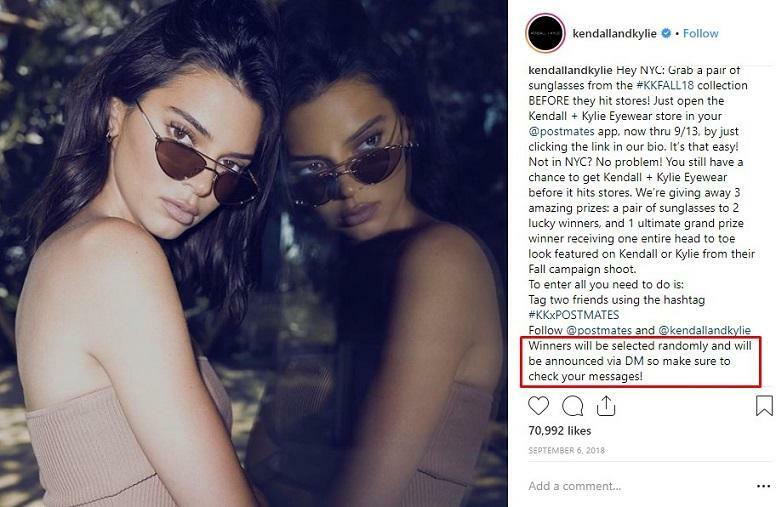 It’s no wonder ecommerce brands such as Kendall and Kylie invite people to slide into direct messages—it has become a great way to establish long-term connections with customers. If you’re a big brand, it’s more likely you will get many direct messages daily, so it’s important to ensure these messages don’t get buried in the inbox. It’s important to reply to the inquiry once you get it, and the best way is to do it without spending much time. With Instagram quick replies feature, you can make the most out of Instagram Direct interface for businesses accounts and answer frequently-asked questions, provide customer support, or thank followers for joining your community. It goes without saying that modern users crave personalized experiences, so communicating via direct messages helps to improve the customer journey, and therefore increase customer satisfaction. Key takeaway: Instagram is rolling out more and more features, so users content preferences change. Keeping up with trends is a proven way to give your followers what they want, so that you can bring your business to the next level. Whatever marketplace you choose, it’s important to ensure your customers get positive experiences at every single step of the customer journey—from brand awareness to customer loyalty. When selling on Instagram, it’s even more important to improve the buying process: The platform has been a photo-sharing place for many years, so not all customers are used to buying on Instagram. Better customer experience means customer satisfaction, which means more sales and more revenue. All in all, your profile must be optimized for ecommerce if you want to sell on Instagram. When shopping online, customers can save time and money. However, the main problem for online buyers is that they can’t see or try the product physically before purchasing. It’s hard to say whether it can fit or not. While it can be a real pain for customers, top ecommerce brands know how to deal with this problem. As you can see, the company has posted several photos to introduce YEEZY BOOST 700 SALT, showing off the sneakers from all the sides and including a multi-image post to provide specific details. This helps interested followers learn more about the item even before they buy these shoes. When you’re starting from zero on Instagram, it’s easy for visitors to look through every single post. You simply don’t need the navigation, and it makes sense. But for large (or more experienced) brands, the navigation is highly important. Why? Because your followers need to look through too many posts to find what they’re looking for. To increase impulse buying, ecommerce brands need to simplify the buying process. The easier it’s to find a product, the more people will buy. 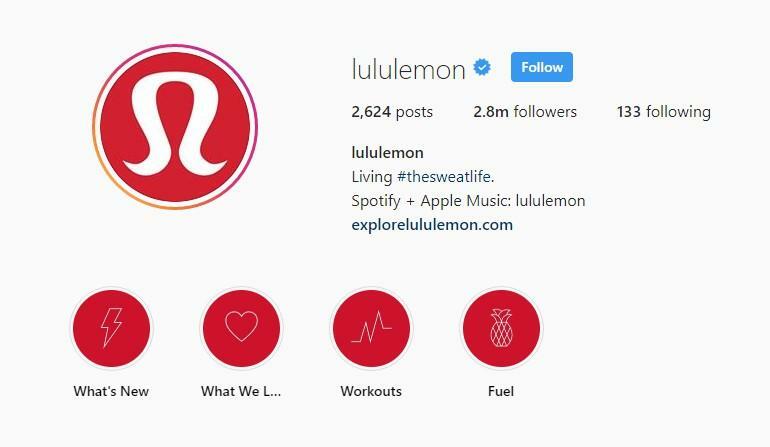 Thanks to Stories Highlights, Lululemon can deliver a positive shopping experience to its customers—everything is grouped into Highlights and a person can jump into a circle that can provide valuable information. For example, I don’t need to scroll over 2600 posts to find what’s new: I just tap on “What’s New” highlights and watch the stories. Awesome! Note that there are dozens of ways to organize your Highlights, and everything depends on your creativity: You can post new arrivals and items on sale or highlight collections and other featured items. Just think about your potential customers’ needs, try to predict their queries, and create Stories Highlights that satisfy the needs! 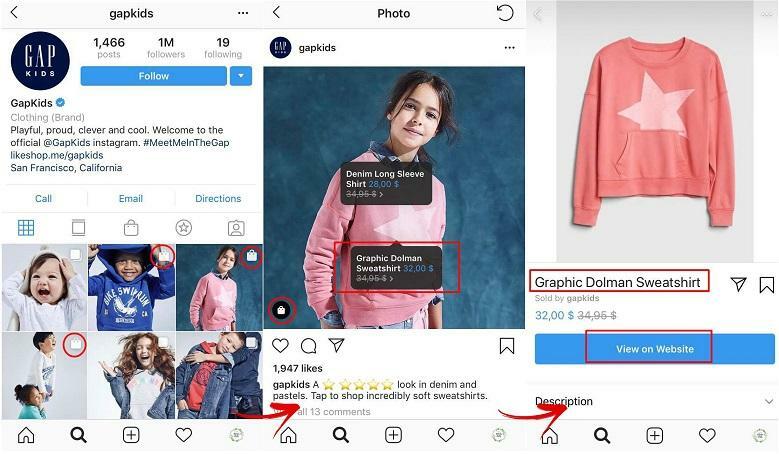 More and more ecommerce features appear on Instagram, making it easier for users to give social shopping a try—not only can they discover products in-app, but they can also buy items on the platform. For companies, this means huge sales potential: It’s a cost-effective and fast way to turn followers into buyers. According to the report by Gartner L2, 66% of brands have used social commerce features. And the best part is that Instagram offers many ways to improve the buying process, and provide users with better customer experience. 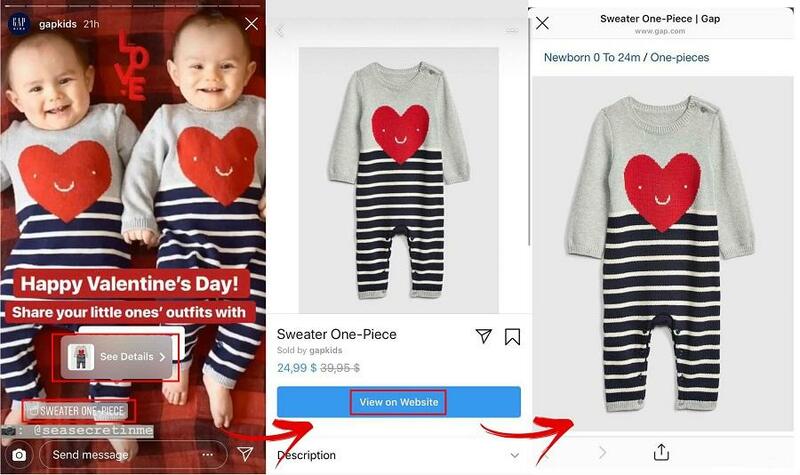 The trick is to use ecommerce features as GAP Kids does. If you want your followers to buy on Instagram, think about their needs and try to make this process easier and simpler. Use Instagram’s ecommerce features to help. Key takeaway: While companies can offer almost the same products, customer experience is what makes them different from each other. If you can provide a positive customer experience, it’s more likely people will choose your brand over hundreds of competitors on the market. No matter what business you have, it’s crucial to know everything about your potential customers. The more you understand your target audience, the better for your company. And Instagram is a perfect place for collecting customer feedback: 80% of social media posts are dedicated to ourselves, our opinions and beliefs. For companies, it’s a perfect source of candid consumer opinion, so it’s no wonder ecommerce brands pay attention to their customers’ feedback and make the most out of it. Here are three ways to collect customer feedback. In 2019, customers crave communication with brands, and when they say something about your company online, they expect the brand to react. Thus, companies should not only track what their customers say online with social media monitoring but also understand what customers say about your industry as a whole with social listening. 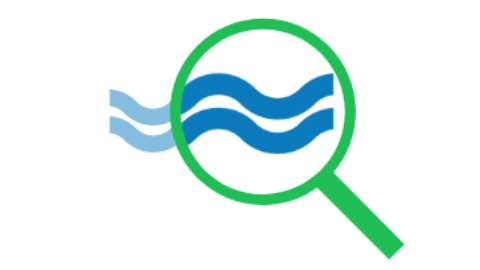 In other words, social media monitoring is about tracking and responding to all digital messages sent to the company or said about any of the products and services online, while social listening is about understanding the bigger picture. The example above proves that customers can either tag your brand or not. 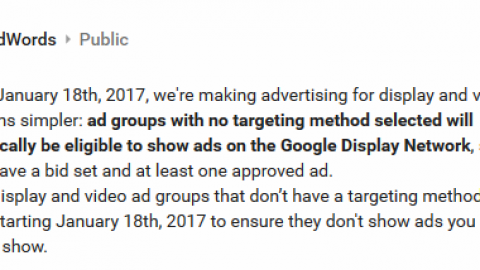 If they do it, you get a notification so it’s easy to take an action. But if they don’t do it, it takes time and effort to find what people are saying about your company. 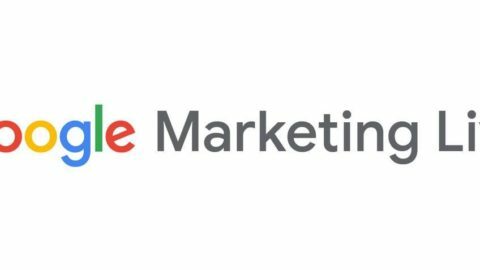 Obviously, you can check brand mentions written online, you can use different social media monitoring tools to optimize the process. One of the main reasons to read followers comments is an opportunity to find (and solve) your customers’ problems. It’s the way to not only take care of your customers but also improve your product or service. Moreover, taking care of the customers helps to earn trust and loyalty, and, therefore, attract more clients. 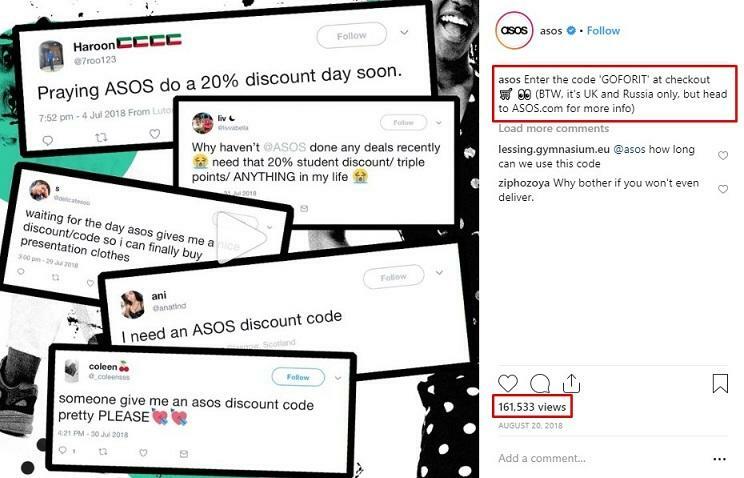 If the company hadn’t reacted to the comment, the information would have spread among potential clients who monitor social media before making the purchase decision. In other words, it could have a negative effect on sales. If you believe that social media isn’t the best place for doing market research, we have bad news for you then. Since people are happy to share their thoughts online, it’s no wonder platforms roll out features to understand them better. 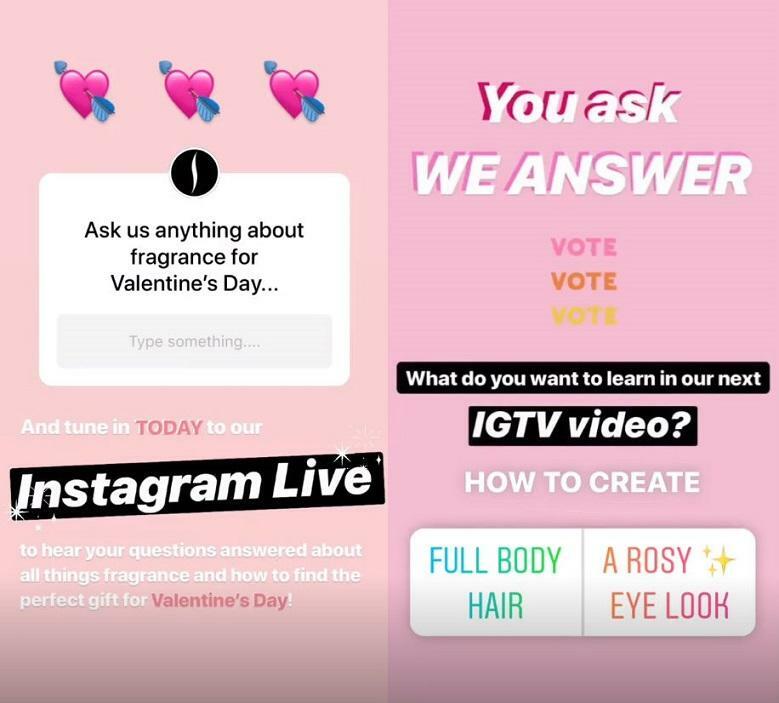 For example, Instagram has poll and question stickers that allow users to either choose from two options or tell more with open-ended questions. All in all, polls help you understand followers better and provide them with more valuable information so that you can increase customer satisfaction. Key takeaway: Instagram is a valuable source of information that comes directly from your customers who know what they want from your company and what keeps them away from buying your products. Listen to customers, learn from them, and improve your product to make it a perfect fit for your target audience. As one of the fastest-growing social media platforms, Instagram has become an essential ecommerce marketplace for companies that want to sell on the platform; it’s evident by the number of brands that not only promote products on Instagram but also sell in-app, and the best way to achieve success is to learn from other companies. Do you sell on Instagram? What lessons have you learned from using this platform for ecommerce? Hugh Beaulac is a content strategist, social media manager, and passionate writer who runs MC2 website and writes for various blogs to share his tips and tricks on digital marketing. He also helps SMBs grow on Instagram, so Hugh keeps an eye on top brands to learn from them. Follow him on Twitter to stay tuned for more.